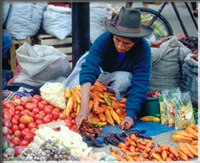 After breakfast, guided tour of both the colonial and the modern sections of Lima, "City of Kings”. Colonial Lima includes a visit to the Main Square, located in the heart of downtown to view the Government Palace, the Town Hall, The “Desamparados” Train Station ,the old streets with their vice royal mansions and Moorish style balconies, the Bishop Palace with its beautiful balconies and the Cathedral of Lima. (Its outstanding features are the choir stalls, the Churrigueresque Chapel of the Immaculate, the main altar and a Christ made of carved ivory). The tour continues with a visit to San Francisco with its convent (considered to be the most important religious monument of Lima, built in 1542 in Baroque style and consecrated in 1673) and the museum of colonial art, cloisters and catacombs. Your drive through Lima will pass by several Colonial squares, churches and mansions, then you will continue to the Modern Districts of San Isidro and Miraflores, for a glimpse of life in this huge city, as well as its beautiful parks, modern buildings and great ocean views. Duration: 3 ½ hours approx. After breakfast, you are picked up from you hotel very early in the morning and transported to the train station. Departure to Aguas Calientes, located 120 km from the City of Cusco and after 3 hour train trip you arrive to of Seven Wonders of the Ancient World, the Machu Picchu complex which is an extraordinary combination of remarkable architecture and unforgettable scenery. After arrival in Aguas Calientes bus station you are transported by bus to the Citadelle, which is located on the top of a steep mountain that dominates the deep Canyon formed by the passing the Urubamba river and whose sides are so sheer that the ancient buildings of Machu Picchu City Complex cannot be seen from the bottom of the mountain. Then you will have your guided visit for 3 hrs aprox. Machu Picchu is also called "The Lost City of the Incas." It was planned and constructed in two distinct areas, the agricultural one formed by the cultivation terraces or platforms and located in the precipitous hillside of the mountain, and the urban area, where Machu Picchu inhabitants lived. In the high part, a line separates the agricultural and urban areas. In the urban sector, you can observe two very well defined: civil engineering works. One is the residential neighborhoods, and the other water canal systems. Both constructions did not reach the same perfection in their finishing as the buildings of the Sacred Valley (temples, mausoleums, squares, real houses). Here it is very common to see the use of the trapezoidal window and of niches where they deposited their idols as well as the prevalence of the rectangular constructions of a single floor. After lunch (Not Included) you have time at leisure before to return to Cusco (or to your hotel in Aguas Calientes ) Arrival in Cusco and transfer to your hotel. Duration: 12 Hours approx. Unravel the mysteries of the ancient Inca Empire on this fascinating 4-day tour for the busy traveler .You will have the opportunity to explore Cusco and its nearby, then take a train ride to join one of our expert local guides to hike the Trail of Machu Pichu. 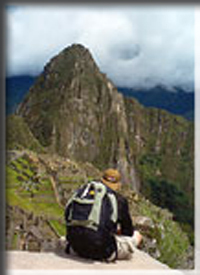 Alive with marvelous heritage and surprising sophistication, Machu Pichu is forever enveloped in an aura of mysticism.